Perhaps the most common problem with skin is the terrible experience having acne. Acne causes all sorts of things such as redness, irritation, pain, and make a person’s confidence take a big hit. 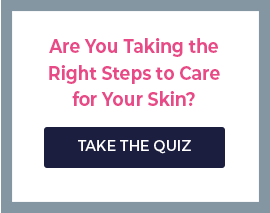 Figuring out exactly how to deal with acne can seem like a daunting task, especially after numerous products are experimented with, but all seem to fall flat. However, Rhonda Allison has put a lot of thought, time and research into figuring out what actually does work in the battle against acne. Rhonda Allison has narrowed all of the knowledge of and experience with skincare down to the development of three unique products. Below is a detailed description of the qualities and ingredients of each piece in this collection. This refining gel aims at removing dirt, build up, and dead skin cells lounging about on your skin in order to cleanse the skin and reveal a fresh, clean layer of skin. Along with its exfoliating qualities, the Skin Refine Gel carries antiseptic qualities as well with the main ingredients of the mixture being L-Lactic, Silicic, and Azelaic Acid. With these powerful elements, the Skin Refine Gel can scrub off unwanted cells and thoroughly clean your pores. This part of the acne fighting trio is most definitely the most exotic mixture of the three. With ingredients like grapefruit, tea tree, horse chestnut, and mushroom extract, the Blemish Serum is a force to be reckoned with when it comes to fighting against bacteria and soothing the skin. The serum helps diminish blemishes or signs of redness with lots of natural ingredients so that you can have healthy, clear skin in no time. The last product in this collection is one that provides even further support in getting rid of existing acne and also puts great emphasis on preventing further breakouts. The key ingredients in the product include Benzoial Peroxide, aloe vera, and crosspolymer. The Benzydial Peroxide helps aid in cleaning your skin while the aloe vera works as an inflammatory to reduce redness and irritation, and the crosspolymer creates a force field around your skin to help fight off any further dirt or buildup. This is an excellent product that simultaneously does all three jobs of cleaning, repairing, and protecting skin. All of the Rhonda Allison Anti-Acne products are available at SkincareByAlana. If you are interested in any of the Rhonda Allison products, they are currently having a sale that includes a free Rhonda Allison product with any purchases $50 and up. Keep in mind they also include free shipping to U.S. orders.